Five years after "Privileged Life" was released P.H.O.R.K. 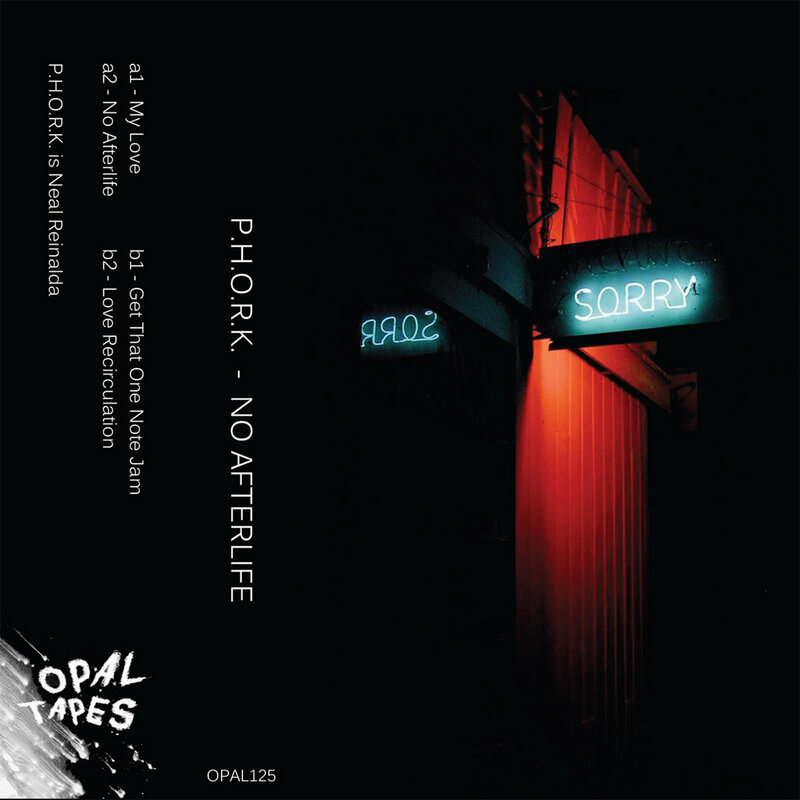 is back at it for Opal with four hypercolour tracks referencing French House, Jit, UK Funky and all manner of hypnotic, percussive goodness. Opener "My Love" inverts a super tight duelling loop of voices against an increasingly staggered and glitched line throwing dancefloors off balance like Cassius with a head injury. Title track "No Afterlife" sits on a jerking snare pattern while air vents open to release plumes of steam, urban fields and angelic drone in a 7-minute ride. "Get That One Note Jam" has a clue in said title. The tracks bounces forward on a super simple riff while modular percussion pick out spaces in between. The track slow blends into resonating alloys of cyber-Kora offset with reload clicks and abrupt restarts. The EP closes on "Love Recirculation' a cartoon-ish barrage of wooden perc just keeps on pushing while synths WOW and moan all over the shop. Killer minimal funk throughout that is sure to build a smile.